Take a well deserved break from studying for finals, and think about some fun road trips to go on for spring break or summer. If you live in the Bay Area or you are visiting definitely check out this little hidden spot in the middle of the mountains of Henry Cowell State Park, 20 minutes from Santa Cruz. It is right off of highway 17. 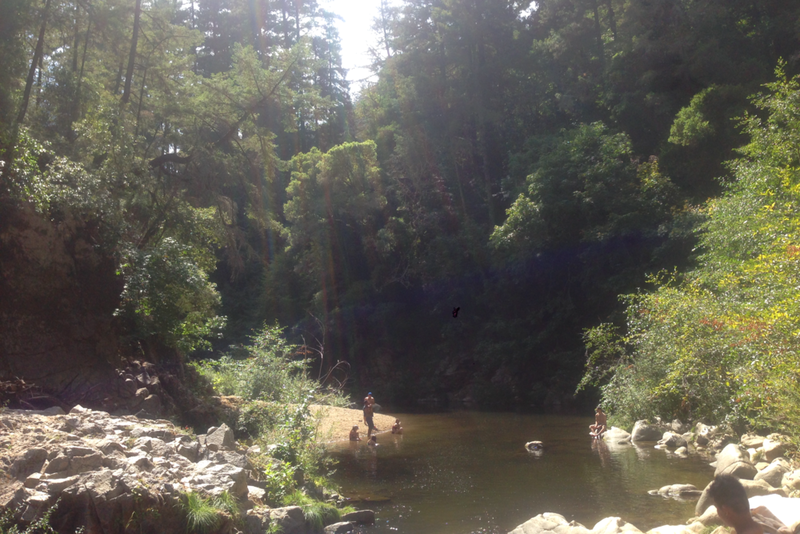 Come here for the perfect swimming spot and to escape the crowded Santa Cruz beaches. Who doesn’t love to drive down highway 1? Big Sur is located right near the beautiful town of Carmel. Big Sur will give you views that no other place will offer with sights of sea cliffs all along the drive. It’s a perfect place for hiking, and camping too. If you venture far enough down the highway you can even spot the famous McWay Falls. Point Reyes is located in Marin County above San Francisco. There are many trails to walk, pretty scenery, and lots of wildlife. The weather won’t be too cold around 63 degrees during the spring but it's sure to be windy so bring lots of sweaters. This bay is located in a little cove at the south end of Lake Tahoe. Take in the pretty views of the lake while walking the trail to the beach. Once you get to the lake you will be able to relax on the beach and do many fun activities like kayaking and paddle boarding. It is the perfect weekend getaway because it’s only 2 hours away from Davis. Grass valley was an unexpected beauty. Walking around there I could hear the birds chirping and it was so peaceful. I went to the Spenceville Wildlife Area and did a short hike to Fairy falls. You can even climb down and swim next to the waterfall. It is only an hour and half away, north of Davis. Check it out on a weekend you’d like to get some fresh air and be surrounded by nature. Surround yourself with giant redwood trees and waterfalls. When you come here you will feel minuscule around these giant trees. This destination is the perfect place to unplug yourself from the world and take in the ethereal beauty of the forest. When I went on my southwest road trip this was by far one of the most amazing sights I had seen. You walk about a half a mile until you get to the rim. Definitely bring some food with you because you’ll want to stay for a while. If you get really close to the edge you can see the water wrap around. This national park really makes you realize how beautiful and grand nature is. Bring your camera because you’ll be taking lots of photos. This place is bigger than you think it is. It will take your breath away once you stare into the canyon and see all of the vibrant colors.